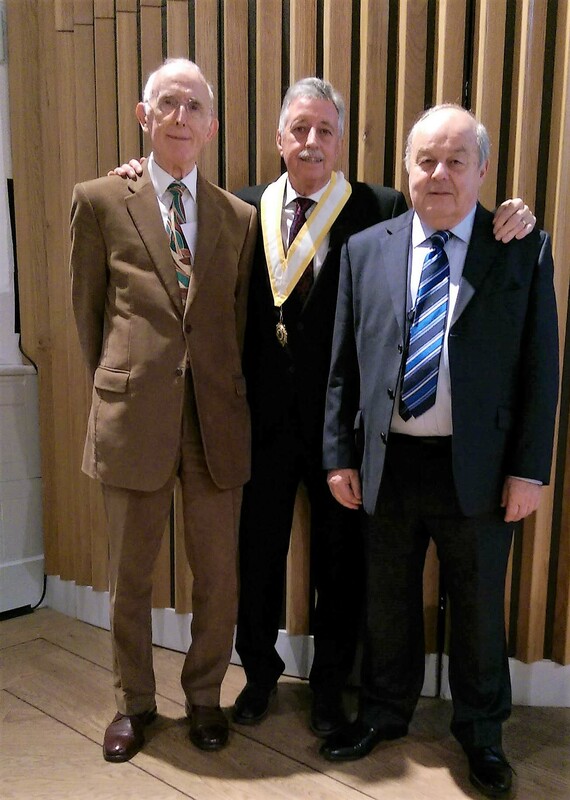 At its October meeting , Cardiff 36 welcomed 2 new members to the Circle – in fact it was one new member and one returning member. Sean Power, a member of St Brigid’s Parish, had a career in education in the field of sports science and physical education, studying for a Masters degree in Sport Science at the University of Western Kentucky in the USA, culminating in his appointment as an Associate Dean in the Faculty of Education and Sport at Cardiff Metropolitan University before his retirement in in 2018. He now devotes much of his time to coaching athletics back at Cardiff Met. Paul Sapwell had previously joined Cardiff Circle in 2012 but, after a couple of years, felt he had to resign due to his other commitments preventing him from fully participating in Circle life. It was, therefore, particularly good to welcome Paul back to the Circle and the Association. Paul spent his working life as an aircraft engineer and had some interesting and amusing times during time spent in Libya. Paul is an accomplished trumpet player providing music for the Circle’s Christmas carols during his first spell as a Catenian.